WHAT'S YOUR BIGGEST CONCERN REGARDING GDPR COMPLIANCE? 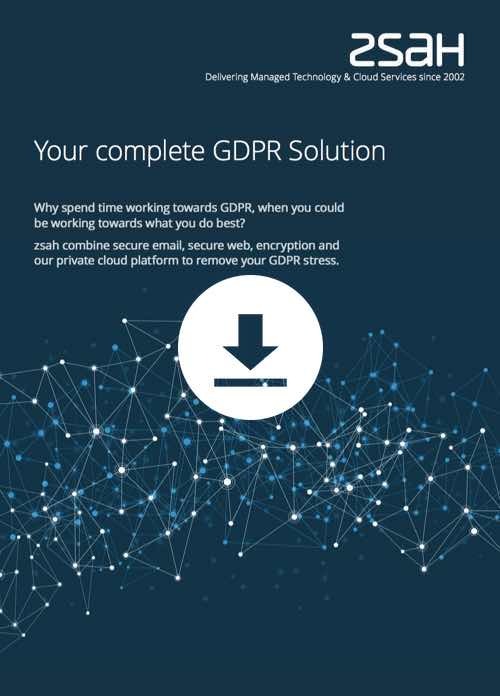 At zsah, we provide technology solutions that help you achieve GDPR compliance. Find out how we can help your organisation below. You must be GDPR compliant by 25th May 2018 or risk a substantial fine. Relax. Choose your solution below and reduce your GDPR stress. “It takes 20 years to build a reputation and five minutes to ruin it. If you think about that, you'll do things differently"
Protecting the information storage and network exit points is critical to protecting personal data from loss or leakage through accidental insider mistakes, the malicious insider or malevolent external attacks. 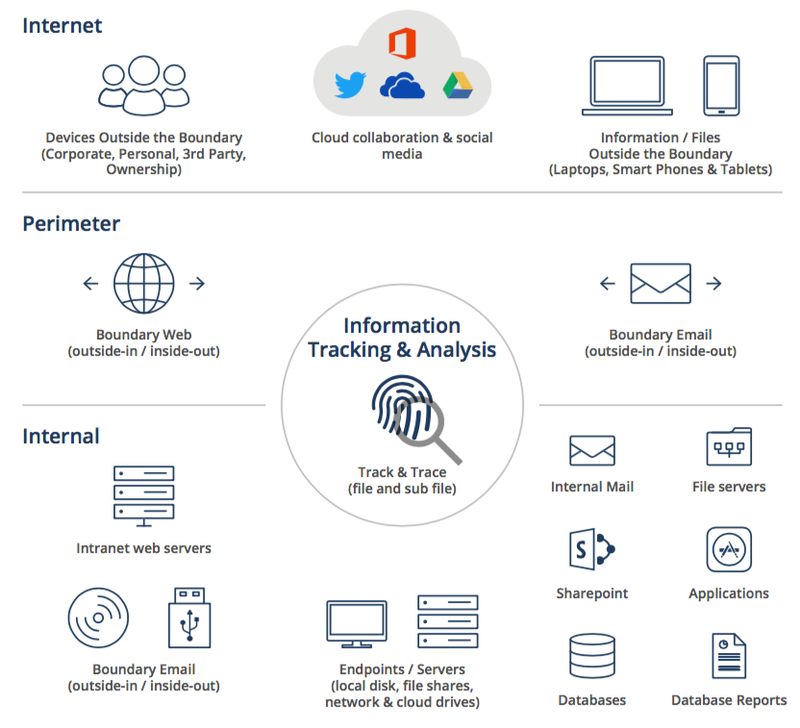 Adaptive security is applied in real-time based on specific GDPR policy, whether it calls for automated redaction, encryption, blocking, moving or deleting. I need more information who can I speak to? Fill in the form above, leave your email and phone number and we'll get right back to you. What email systems are your products compatible with? We are not compatible with 'free' email systems like gmail, hotmail and yahoo mail. Do you offer an email encryption service? Yes. It's built right into the Secure Email Gateway service. There are many ways to encrypt your email, the easiest is just to type [SECURE] in the email title. When the Secure Email Gateway service processes your email, it encrypts it before sending it over the Internet. The receiving person gets a notification email that an encrypted email has been sent to them and they can open and read the email in a secure browser via the emailed link. If you need a demo - just fill in the form, leaving your phone number and a member of our sales team will get back with an invitation to a demo. Can you guarantee complete GDPR compliance? No. GDPR compliance is more than just technology. Being GDPR compliant is also about setting up the correct policies and procedures internally. zsah has ISO Certified Data Protection Officers that can help guide you through this process if you need assistance. Please fill in the form and one of our representatives will get back to you. When do I need to be GDPR compliant? By the 25th May 2018. For the Secure Email Gateway, please enquire as to what we have on offer. We are currently unable to offer a free trial for the Secure Web Gateway. For more information, please fill in the form and one of our representatives will get back to you. For the Secure Email Gateway, we just need to configure (or work with your IT to configure) your email gateway. Once configured, all email from your domain is then seamlessly routed via our secure (UK based) private cloud where the gateway software is run, to automatically check your emails against the policies implemented. It's a complete Software as a Service (SaaS) offering, and over the one-time straightforward configuration, you don't need to implement, host or manage anything else - we do it all for you. It just works. Secure Web Gateway works in a similar manner, but instead of routing your emails, we route your web traffic. What's your uptime Service Level Agreement (SLA)? Can I block or limit access to certain websites like Facebook? Yes, using the Secure Web Gateway platform, you can block access to websites and use a policy to dictate how long an individual may spend on any particular website; for instance: social media platforms like Facebook, Instagram, Twitter, etc. What happens if a member of staff sends client information through email? Within both our Secure Email Gateway and Secure Web Gateway, we have Data Loss Prevention (DLP) as standard. These two services scan all emails, attachments and web access to ensure that staff are sharing appropriate information and data. The actions following an alert that a potential breach of policy has been made is adjusted based on your requirement, and you can set the outcome to fit with the culture of your business (i.e. sent to line manager for approval or returned to sender). This helps you maintain control over sensitive client data that might cause reputational damage and attract large fines from the regulator if it were ever to leak into the public domain. For more information on the functionality, fill in the form, download the solutions guide and leave your phone number and a member of the team will call you back. Our organisation has multiple locations can you work with us? We work with small and large organisations with single or multiple locations. 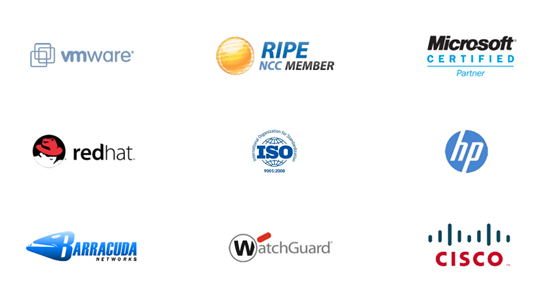 Do you have ISO Certified Data Protection Officers? Yes. We have ISO Certified Data Protection Officers - accredited and trained in the new GDPR regulations to help guide you through the process.